So, so Sum of exterior angles of triangle, quadrilateral, pentagaon, hexagon, etc. is the same , 180°. 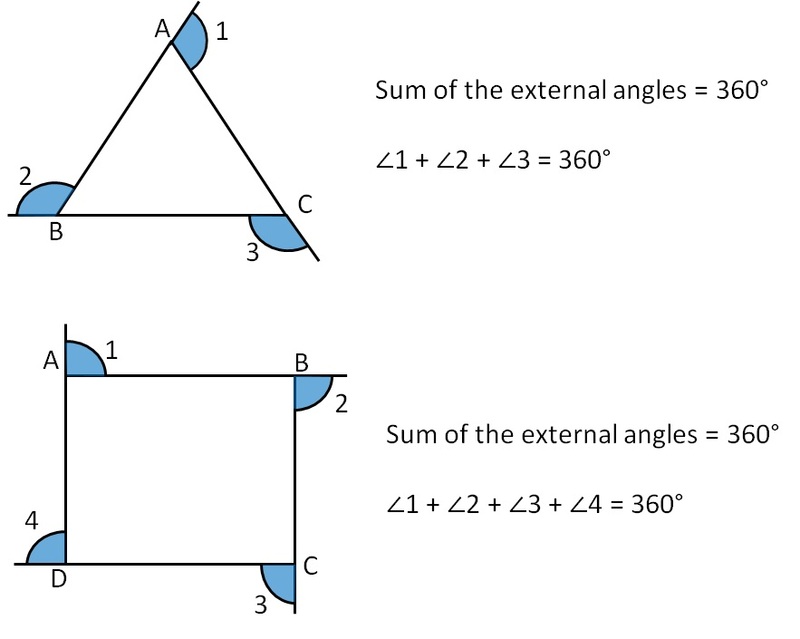 Sum of external angles is always 360°.